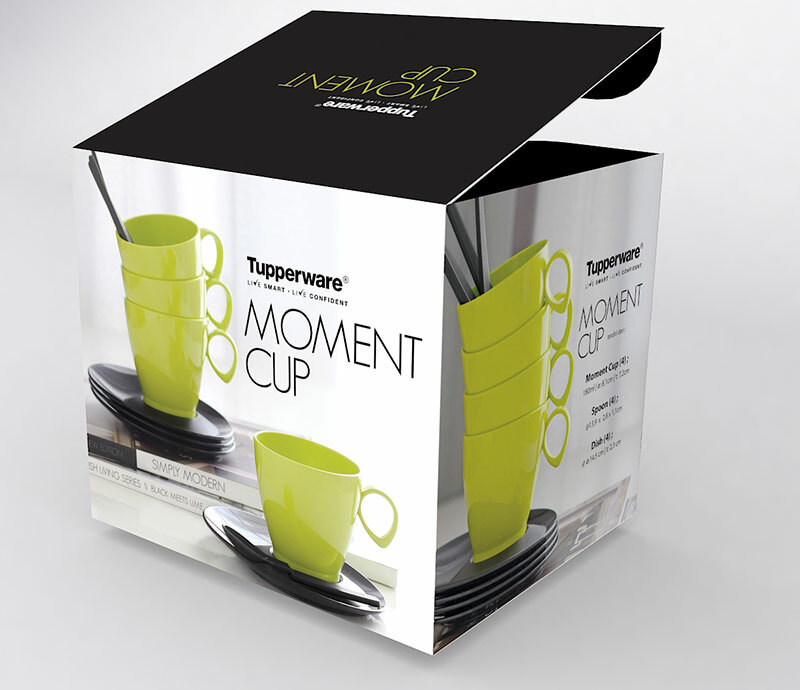 The brief was simple, Tupperware wants a packaging design for their new Moment Cup: Black and lime edition. After a brief brainstorm, we decided to let the color tells the story. 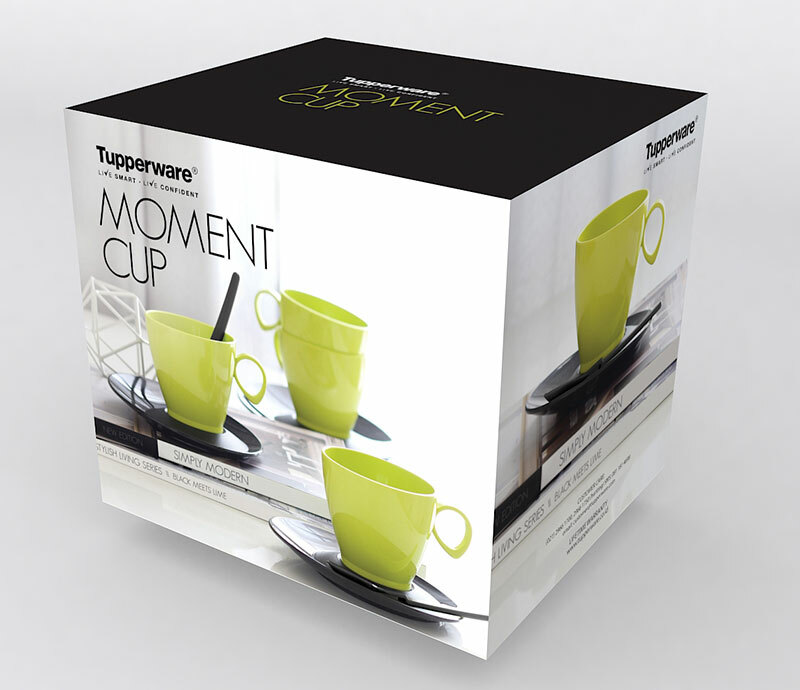 The color combination black meets lime means modern, fresh and clean. So we arrange a photoshoot that shows a modern work desk with some architectural book and a grey (corporate color) curtain at the background. We strive for a minimalist look but still have a "comfort" feels. We keep the background monochrome with a white and grey background to ensure that the lime color really pops. 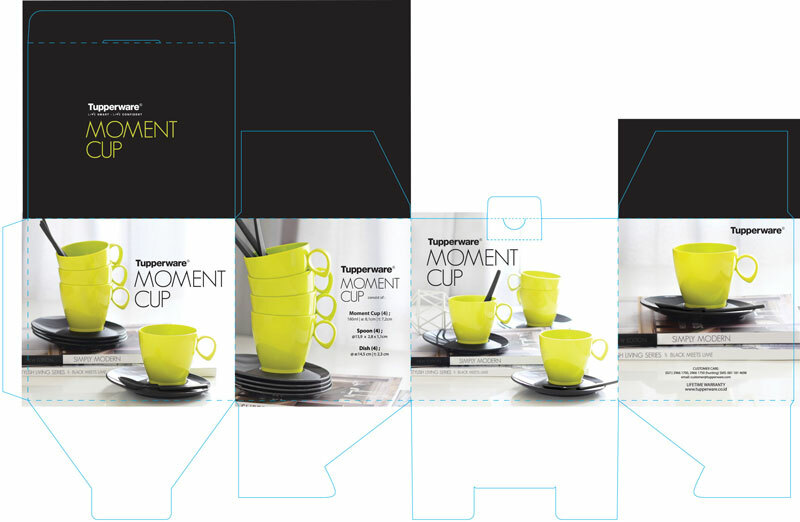 In total, we had designed 4 version of Moment Cup packaging for Tupperware.